We are a British pop group who had a number of hits in the early 1980s around the world. The original line-up reformed almost 30 years later to gig and entertain. Officially here – the Album is released! So we have been buzzing about this for the last couple of weeks (if not months!) but our Album ‘Together’ is now available on www.almightyrecords.com. We hope that you have as much of a party listening to it as we had making it! 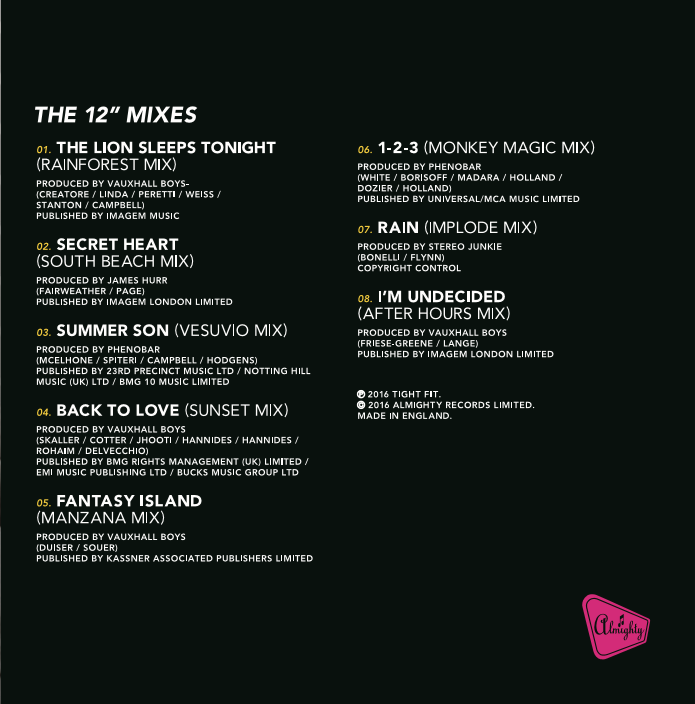 Don’t forget that as part of the new release of Tight Fit Together you can also get 12 inch mixes as well – for those of you that really like to party! A number of the tracks from the Album have been mixed by producers and DJs to give you even more fun. Tight Fit are always happy to make new friends. This is our Facebook page – http://www.facebook.com/tight.fit.1 – please join us if you like our band.